Registration and reservations are now open for the BSI Weekend to be held from Wednesday January 9, 2019 through Sunday January 13, 2019 in New York City. Sherlock Holmes’s birthday is celebrated every January in New York City. The Weekend is always fun, filled with formal and informal opportunities for Sherlockians new and old to gather for a common purpose. 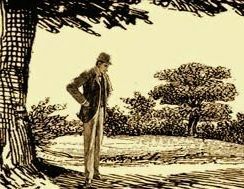 The BSI schedules a number of events open to the public, and other Sherlockian groups arrange additional activities. In addition, the BSI has made arrangements for a block of hotel rooms with special BSI tax-free rates. See below for details and deadlines. Other events during the weekend have their own ticket requirements and deadlines. See the Event Summary PDF for some of those events, and for full details, see this other Sherlockian events website. This year’s Distinguished Speaker is Ken Ludwig, two-time Olivier Award-winning playwright whose work is performed throughout the world in more than 30 countries in over 20 languages. He’s written 26 plays and musicals, with six Broadway productions and seven in London’s West End. His three delightful Sherlockian plays (originally starring)—The Game’s Afoot (Donald Sage Mackay), Postmortem (Patrick Horgan) and Baskerville—are perennial favorites among Sherlockians. The celebrated comic playwright’s talk begins promptly at 6:15 p.m.
Tickets for the BSI Distinguished Speaker Lecture, which is open to the public, must be purchased in advance. No tickets will be sold at the door. SOLD OUT: no more tickets available. You can order tickets from the BSI Weekend Registration Form (PDF). A wide variety of Sherlockiana will be for sale on Saturday January 12 from 9:00 a.m. to noon in the Merchants Room (aka Covent Garden West), located in the Vanderbilt Suite on the second floor of the Roosevelt Hotel (45 East 45th Street). BSI Books will be offering our newest titles as well as books published in prior years. Twenty other vendors will be selling rare Sherlock Holmes and Conan Doyle first editions, books about Holmes, and unusual Sherlockian items and ephemera. For information about selling at the vendor tables, contact Ralph Hall (2906 Wallingford Court, Louisville, KY 40218) (502-491-3148). Open to all Sherlockians and their friends. Cocktail-party buffet and an open bar (wine, beer, juice, and soft drinks). 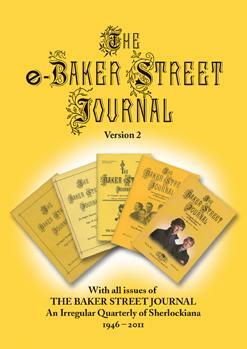 Includes an auction of rare Sherlockiana for the Dr. John H. Watson Fund. Advance tickets available from the BSI Weekend Registration Form (PDF) or (space permitting) at the door. SOLD OUT: No ticket sales at the door. For all Sherlockians attending the BSI Weekend, arrangements have been made for a block of rooms at The Roosevelt Hotel at 45 E. 45th Street, NY, NY 10017 (map) with special BSI tax-free rates (subject to deadlines, for January 7-13, 2019). Pictures are available at the Roosevelt Hotel Photo Gallery. The hotel is a full-service facility. Breakfast is available at the hotel but is not included in the room rates; you will need to arrange for incidentals charged to your room to be paid at check-out. Please note that if you choose to book directly with The Roosevelt Hotel or elsewhere, you will not receive the BSI tax-free group rates and you will be paying New York City and State taxes amounting to approximately 20% of your total hotel bill. To secure BSI room rates, and save the 20% tax, the BSI is accepting reservations for lodging and BSI activities via the BSI Weekend Registration Form (PDF) – see the form for deadlines. On the west side of Grand Central Station. One block from the Yale Club. Please note many of the other activities require separate advance reservations not handled by the BSI. See the details for each activity for deadlines, costs, and locations.